Using data from the NLSY97, this paper re-examines the empirical relationship between household economic resources and youth criminal participation. Previous estimates of this relationship have often suggested this relationship to be quite weak or even non-existent. However, this analysis suggests that much of the strength of the relationship between household economic resources and youth criminal participation may be obscured due to non-linearities in this relationship, the fact that this relationship is isolated to crimes of a serious nature only, and especially because of measurement error with respect to measuring household economic resources. I show that adjusting for these issues substantially increases the estimated strength of this relationship. 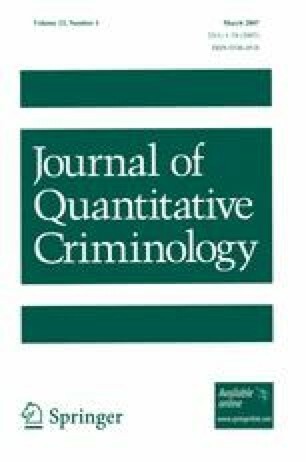 Indeed, the results in this paper show that the differences in serious criminal participation between youth from households in the upper parts of the income distribution and youth from households in the lower parts of the income distribution appear to be greater than the difference in serious criminal participation between genders.